Darren Leslie oversees AC4S business operations in the Washington D.C. metropolitan area, and leads AC4S's largest commercial effort, managing the technical support AC4S provides to Lutron, a global leader in smart lighting systems. Darren has managed projects for key customers such as the Federal Aviation Administration, the U.S. Air Force, the U.S. Department of State and the National Geospatial Intelligence Agency. Darren joined AC4S in 2010 after serving 10 years in the U.S. Navy where he provided logistics management support to a variety of global humanitarian and operational missions. 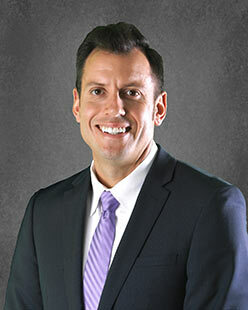 Darren is a certified Project Management Professional and holds a Master's degree in Business Administration.